WOW!!! is what all of my guests exclaim, the moment they step into the livingroom or onto the patio large wide deck of this 2500 sq. 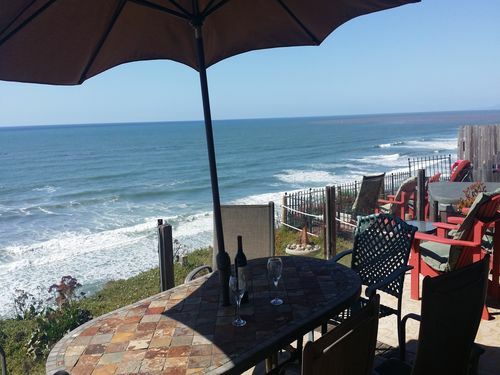 ft. 3 bed, 3 bath home with 180 degree ocean front views, 50 linear ft across the ocean front, a great floor plan, (with lots of privacy), in North Coastal San Diego. 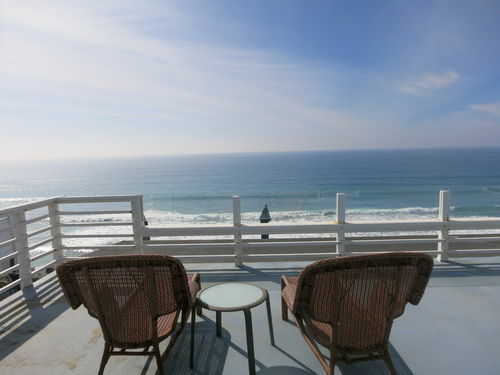 Huge 2200+ square ft single level on top floor, 3 bedroom, 3 bath town home boasting Beach Stair Access, Oceanfront property with a Pool and Jacuzzi! 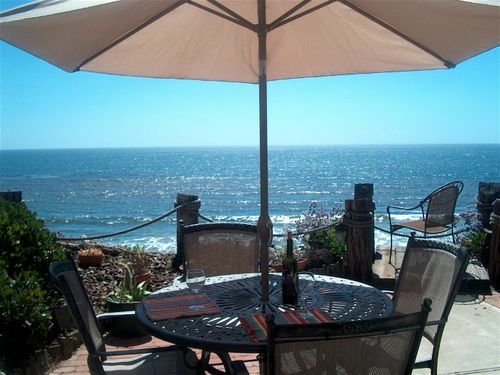 Only a block to Moonlight Beach, walk along the beach, or walk down the street. A/C, Large two car tandem garage, pedestrian gate, and vehicle security gates. 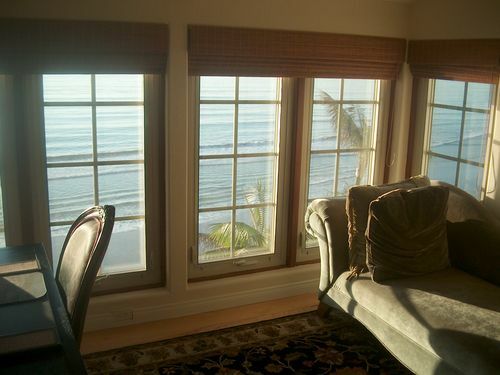 Wonderful ocean views from the Living Room, Dining, Master Bedroom and Deck. 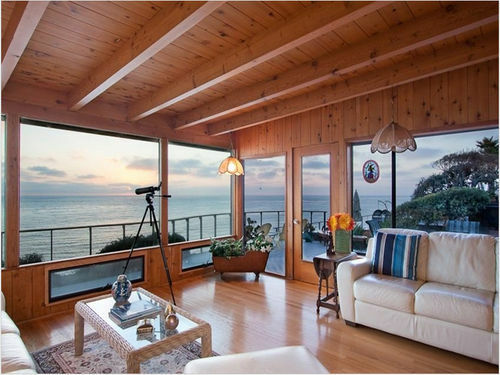 All doors and windows are mahogany, and the top floor has soaring rough hewn cedar ceilings. 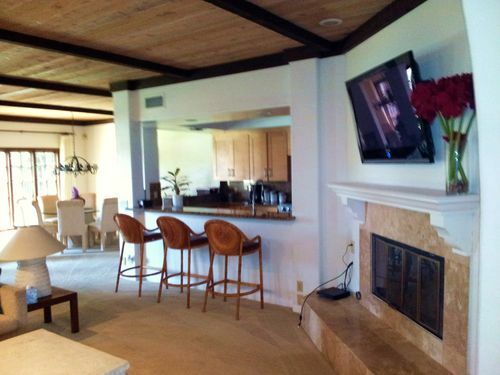 Very well appointed with 2 wood burning Fireplaces. 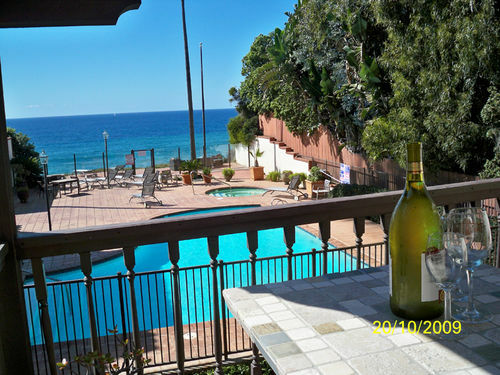 This condo complex of only 6 units is oceanfront, and only a short walk to Moonlight Beach, and downtown beyond. Huge 2300 sq ft single level on top floor, ask about other availability here if this one is not available. These are large! 3-bedroom townhomes available for your resort style living. This one has a King in the Master, a king and a double futon sofa in the 2nd bedroom, and a queen plus a set of single twins in the third bedroom, all with connecting private bathrooms. 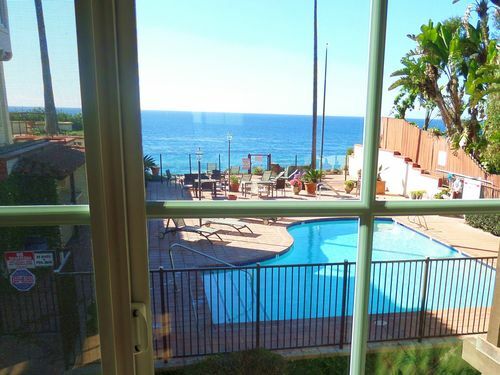 Oceanfront, with stairs to the beach, a jacuzzi and swimming pool. Easy walk to Moonlight Beach! Two car tandem extra large garage, pedestrian entry gate, and vehicle security gates.